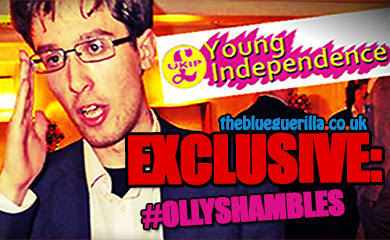 TheBlueGuerilla: Tory Youth Wing in election 'bullying campaign' claims. 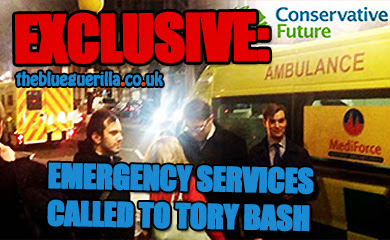 Tory Youth Wing in election 'bullying campaign' claims. Evidence of a "bullying campaign" in the Conservative Future elections has apparently been uncovered. A student magazine in Bristol has published allegations that have surfaced about a campaign "slate" (team) supposedly harassing another candidate with prank calls and threatening texts warning the candidate not to run in the election race. Vantage Bristol says: "Sources have significant evidence of a malicious campaign being run by a slate against a single candidate. This campaign has involved repeated nuisance phone calls late at night from withheld numbers and numerous texts warning the candidate not to run. Understandably this has caused significant distress." The Tory Youth has been known for its vicious elections, but have some maybe gone too far and are now acting like a mob? Attack Ads, blaming other candidates for rumours, plotting against Holmes and Cooper. Well done Robinson. So Blue Guerrilla, which is openly supportive of one candidate, is publishing unsubstantiated rumours of bullying from 'sources' against an unnamed candidate. Why exactly should we believe any of this? It won't be about Paul, since Tbg supports him, so this entire enterprise is one giant spin machine churning out exactly the sort of rumour that poisons CF elections. Hang your head in shame Tbg. Nonsense. It's come from a student mag in Bristol. Story has nothing to do with tbg. Visit the link. tbg lifted the story from us. If you have any questions on the validity of the sources ask us as tbg had nothing to do with it. Does 'Vantage Comment writer' have a name? It is usual for the name of the reporter to at least be available. The reporter requested to remain anonymous as they have links to CF and don't particularly fancy the hassle. This blog is anonymous and yet still functions. We have had people writing anonymously on occasion. If you take issue with the story email editor@bristolvantage.com. I fail to see what emailing will achieve. A reporter who wishes to remain anonymous, has written a post, which has made anonymous accusations against CF candidates. 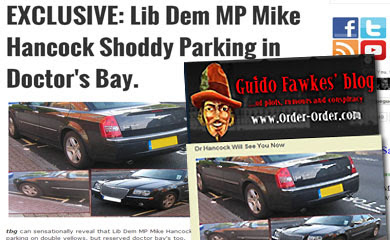 This has then been reported by an anonymous blog which openly supports one of the CF candidates. You'll excuse me if I treat everything I've read with the same scepticism I would have reading a post composed by Damian McBride. Holloway should stop trying to shift the argument it embarrassing. Concentrate on one thing at a time, he clearly hadn't even read the story properly. Yet another anonymous post. It's like graffiti on a wall. Since no-one is prepared to present a shread of credible evidence or even post under a verifiable name (even Vantage), I'll just give up and file this under "yet more lies and smears from the shadier elements of CF". Source is blatantly Cooper's campaign since the editor of Vantage is... [hang on while I do some utterly basic checks]... one Jennifer Salisbury Jones. Out as a Cooper supporter and a ybfer. That was a great mystery wasn't it. Now tbg, your job is to find out who gave her the story to publish. Shouldn't be too difficult. Girl is top totty but a stone cold libertarian. It is a bad day for CF when her sort and Cooper would seek to run it. Actually, her and Cooper sound perfect. Two cold libertarians together. Lets just have them with their friends in UKIP rather than bothering us. Goddamn it Richard. Can't you see how corrupt they've become. 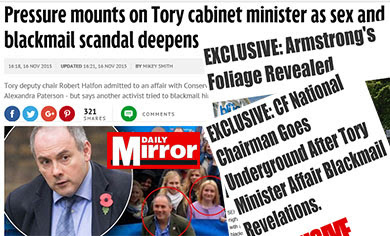 The shear filth and smear their churning out is oppressive and will destroy CF more than Cooper could ever dent it. Wish you were still running. Save us from Gerry Adam's room-mate. Don't you see how little credibility you have posting anonymously on the internet?